Create Your Own Dance Class! Private group classes work around your schedule. Know the size of your class and every one in it. Bridal parties can get ready for dancing at the wedding. Co-workers can enjoy lessons during the day or after work. You decide the dance(s) and the schedule. Jitterbug, waltz, foxtrot, merengue, swing, tango or just plain dance with friends. 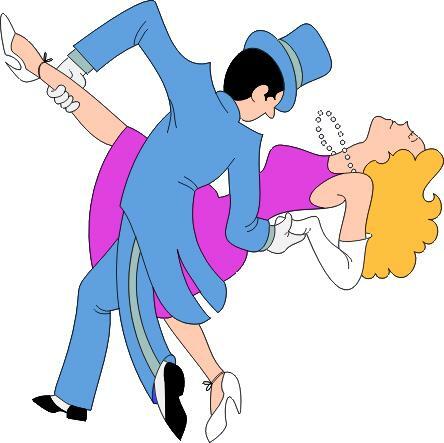 We teach all of the partner dances in addition to ballet, tap & jazz. Get your friends, relatives or co-workers together. Design your own group class in any dance or dances! Book early for best selection of dates & times. at your home, office or a location of your choosing within the DC metro area. BOOK EARLY FOR BEST SELECTION OF DATES AND TIMES. and use your lesson within 30 days of first group appointment. This lesson special is for a one hour private dance lesson for one student. at your home, office or any location of your choosing within the DC metro area. All lessons require payment in advance. Rates are for services provided within the Washington, DC Metropolitan Area. For services outside of this area, travel fees will be determined on a case by case basis. The rates for 6, 12 and 24 hour Private Group Lesson Packages reflect discounted, pre-paid lesson programs. Pre-paid programs allow us to reserve time on the calendar for your group.